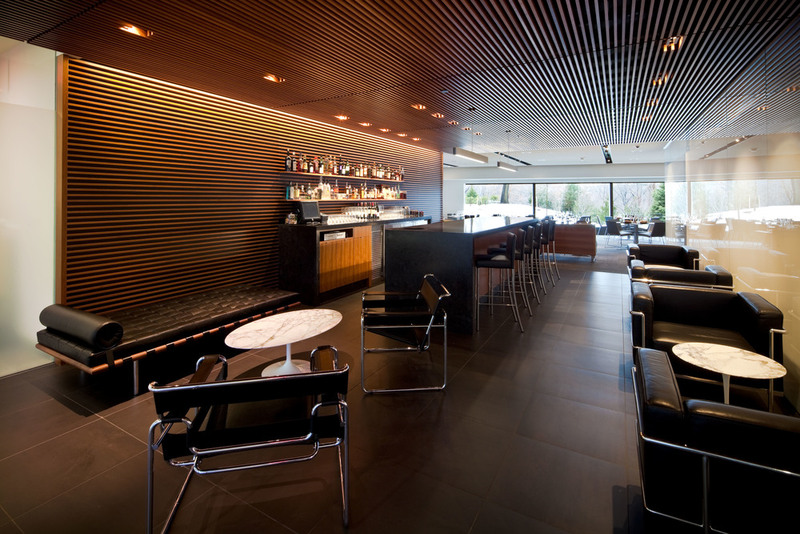 The Café and Restaurant at the Cleveland Museum of Art has a number of venues to serve the needs of the Museum, and was completed as part of an 8-year $100,000,000 renovation project designed by the world famous architect Rafael Vinoly. The project includes a café, bar, fine dining restaurant, banquet facility, and a private dining room. All of the dining areas are served by single large kitchen. The design of each of the venues were crafted to seamlessly integrate with the museum and simple, elegant and rich materials were selected in a muted palette so the food could be the star.